Focus on your business and let us to help you to grow your business! 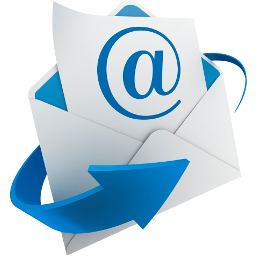 Nowadays e-mail is one of the most common communication tool for business that means it should be a reliable service. Indeed you can say that you can use a service like Gmail, Yahoo, Hotmail, but think that you have more than 1-2 employees and you go to a business meeting. You can not present your visit card with an e-mail address like: MyCompanyName@yahoo.com. Here ABTelecom comes with a simple but clever solution: YourName@YourCompanyName.com. Sounds nice and profesional? YES it sounds! Our servers are using latest technologies to give you high availability and highest rate of destination email receiving. Also we are using latest anti-spam and antivirus technologies to filter as much as possible unwanted correspondence. We guarantee that your emails will arrive directly in Gmail/Yahoo Inboxes!